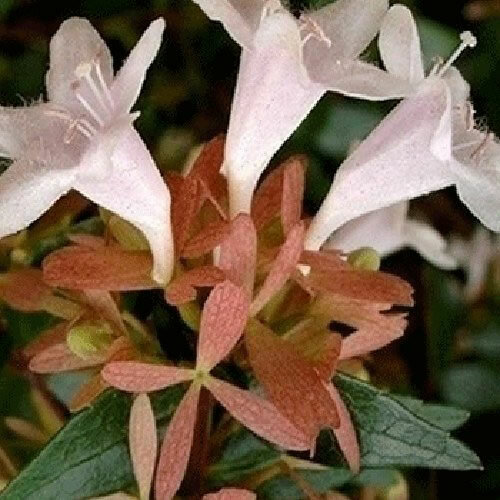 A semi-evergreen shrub with glossy green leaves and fragrant white flowers tinged with pink. Height: 3m. Spread: 4m. Flower colour: White, Pink. Flowers from July to September. Semi-Evergeen. Foliage colour: Green. Hardy.